1KZ or 2LT, 3B or 13BT, 1C and 2L, confusing numbers and alphabet game or engine designations, who knows… it might as well be Greek for those who aren’t engine savvy. If you are even considering building a Jeep in Pakistan, you should know the various engine choices available to you. Read on and enlighten yourself. Choosing the right engine is the most important decision for those of us lucky enough to own a real Jeep. As we all know, almost all Jeeps to be found in Pakistan, came outfitted with petrol engines from the factory, even though Jeep has offered diesels in the European market for years now. Why these vehicles never made it the Pakistani market is a story for another column. Anyone who has lived in Pakistan for any length of time can tell that the prohibitive price of petrol has created a diesel conversion craze. The diesel advantage in Pakistan is clear: You get an engine that is at least 30% more efficient than its petrol counterpart and it runs on fuel that costs less than two thirds as much. This economic advantage totally overshadows the facts that the majority of diesels available to choose from are antiquated designs that are noisy and rough, terribly underpowered for their size and weight, and gross polluters. The unfortunate motorcyclists and pedestrians of our country know the last fact all too well. However, all is not lost. The diesels available to us may be antiquated and underpowered, but there are some tried and true performers amongst them that have withstood the test of time and the trail. In the course of building a Jeep, the mechanic will usually suggest which engine to go with. Opinions on the best engine for the job differ between mechanics, depending on their technical expertise and the ruggedness of the Jeeps they build. That makes it all the more important for the owner to be educated about the engines available. For instance if your mechanic is adamant about dropping a Hilux 2.4 liter engine into your project CJ-7, you may seriously want to reconsider your choice of mechanic. 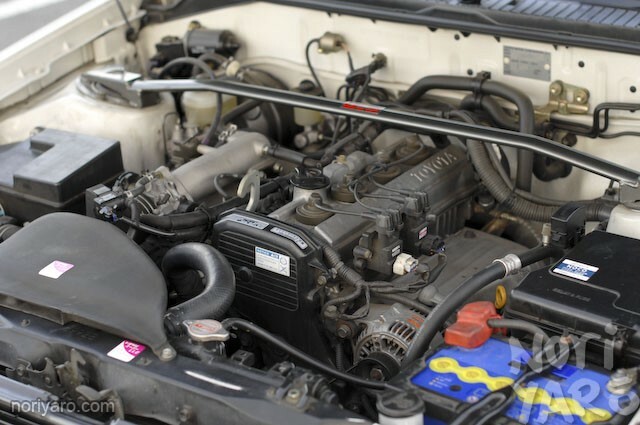 The following list can be used as a reference guide to selecting the ideal engine for different kinds of Jeeps. These are the most commonly found flat-fender Jeeps. Their engine bay is by far the smallest, calling for smaller, lighter engines than those required for other Jeeps. The two generations of this turbocharged engine are available in many variations. Although some are EFI and others have ceramic valve seats, power output is roughly the same in all models. At about 90 odd horsepower and fuel economy of about 8–10 km/L, it is, in my humble opinion, the best dieselengine for flat fender Jeeps as far as performance and fuel consumption are concerned. 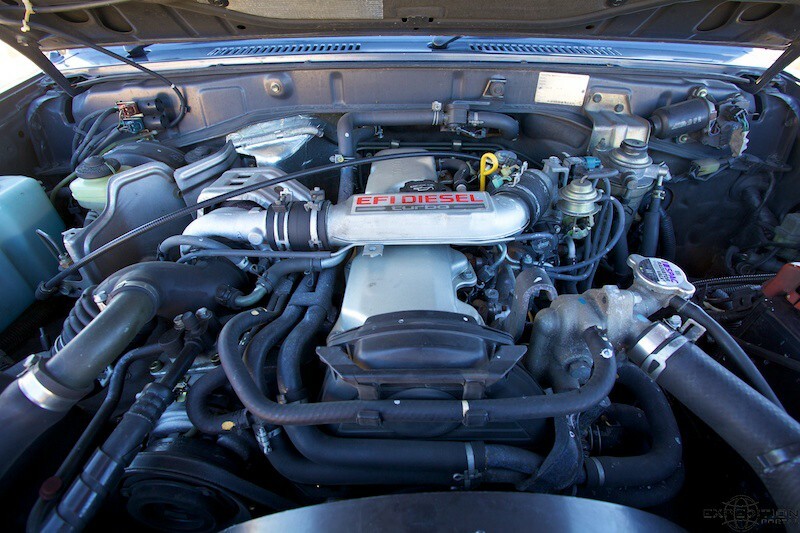 Although it is rather pricey and also a tight fit in the engine bay, you can’t go wrong with turbocharged performance. However, this engine doesn’t tolerate overheating very well and it is prone to developing cylinder head cracks under extreme stress. The 2.2 liter L used to be the most popular engine for flat fenders until it was replaced by the 2.4 liter 2L. The 2L is basically the naturally aspirated version of the 2L-T. While the stroke is the same as the L, it has a larger bore for increased displacement. This makes the 2L a very rev happy little diesel, with the red line at a stratospheric 5000 rpm. The 2L is second only to the 2L-T. This engine is a good balance of economy and power. Update: L is no longer easily available and 2L is also a rarity. 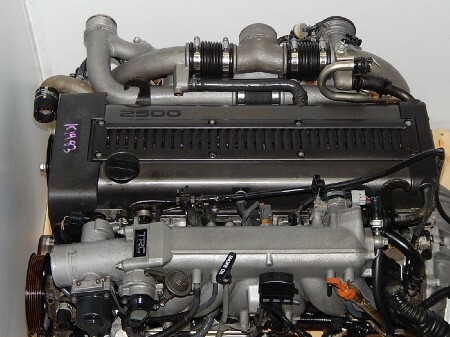 This naturally aspirated 4-cylinder has always played second fiddle to the L. Although the same displacement, but weaker, cheaper, and noisier, it is the poor man’s L. Update: Phased out like the L.
These small, lightweight engines develop roughly as much or slightly less power than the 2.4 liter 2L and costs roughly the same too. Displacing 2.0 and 2.2 liters respectively, the 2CT and 3CT are not widely available, and the turbo-averse crowd tends to steer clear of them. 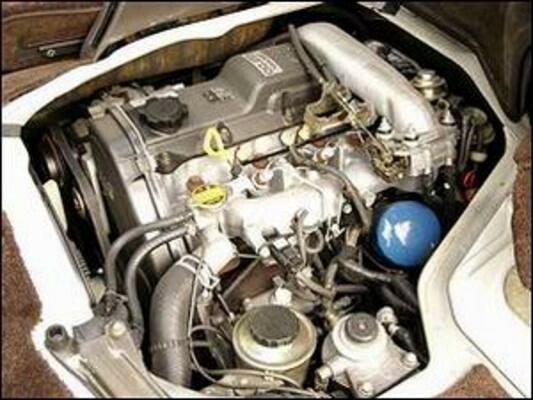 The 2L has more torque because of its larger displacement and it is hence regarded as a superior engine. These two engines have been included here only as a warning. The 1C and 2C, pushing a whopping 1.8 and 2.0 liters of naturally aspirated displacement respectively, are absolutely worthless for use in a Jeep. The only thing they are capable of powering with marginally acceptable performance is a Corolla, the vehicle they were originally designed for. Best used as boat anchor otherwise. 3S is a 2.0L displacement gasoline 4 cylinder engine from Toyota’s highly successful S family of engines. It powered many different vehicles, such as the Camry, RAV 4, Celica and Carina, before finding its way to Pakistan’s engine importers. This lightweight yet powerful engine makes a great flat fender powerplant because it most closely resembles the original L and F head engines’ characteristics with improved power and torque delivery along with exceptional fuel economy. 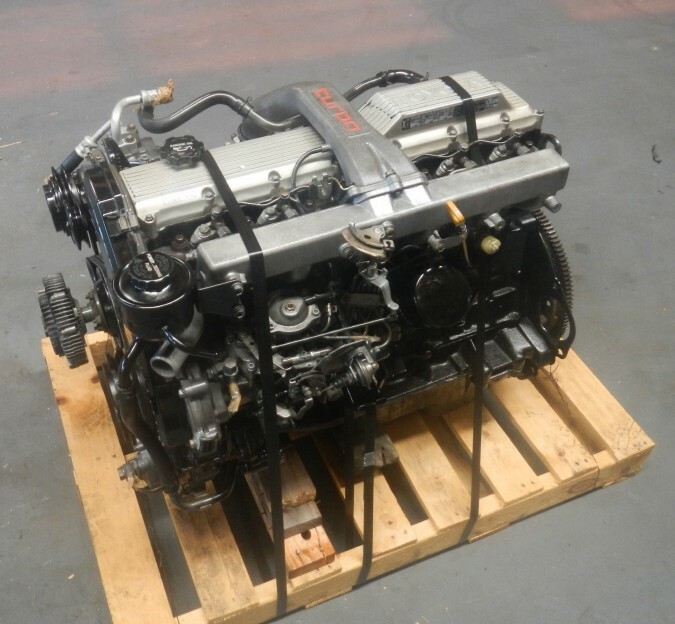 With the cost of the swap being less than half of a similar diesel engine swap, and still cheaper operating costs, choosing this engine is an absolute no-brainer. These Jeeps have a shorter length engine bay than the later model CJs but have more vertical room than the flat fenders. The 2L really is a marginal engine for these heavier Jeeps. The 3L is the 2L’s big brother. At 2.8 liters, it produces ample power and torque to propel these middleweights. The 2L-T is roughly as powerful as the 3L, if not more. It can be easily squeezed into the engine bay on these Jeeps. Being turbocharged, they have potential for even more power in the hands of those people who know what they’re doing. The is the EFI version of the 2LT. The other major difference is a better breathing head as compared to the non-efi version. The 5S is the big brother of the 3S. At 2.2 liters, it produces slightly more torque and power. It can be used interchangeably with the 3S is these slightly heavier Jeeps. For these Jeeps, either engine is probably the best option for an engine swap. This is the 3.4 liter, quad cam, 24 valve V6 available in some models of the Toyota Land Cruiser Prado and Surf. Although usually available only with automatic transmission, manual transmissions can also be adapted for use. This 190 HP, 220 lb/ft motor is a good power upgrade for early model short nosed CJs. Fuel economy is quite decent too, around 7km/L, but some drivers may find it a tad too powerful unless the Jeep’s steering and brakes are upgraded. It is also nearly twice the price of a 3S. While the Wagoneer and early model Cherokee are considered full size Jeeps with roomy engine bays, the longer nose on late model CJs, and YJs & TJs also means larger engine bays. Redesigned suspension and chassis, and improved steering set-up on these Jeeps makes them capable of higher highway speeds, calling for more powerful engines. B series engines have powered not only many different Toyota vehicles since the 1960s, but also refrigeration units and industrial equipment. Made primarily by Hino and also by Daihatsu, the B series is probably the most reliable diesel engine to find its way into a Jeep. The gear-drive timing set replaces the timing belt found on other diesels. Although slightly noisier, timing gears and pushrod operated valves eliminate the risk of timing belt failure and subsequent destruction of the engine’s rotating assembly. Starting with the B at 3.0 liters, the 2B and 3B are also indirect injection engines displacing 3.2 and 3.4 liters respectively. With its ever abundant torque, the 3B is the most favoured engine of the lot. 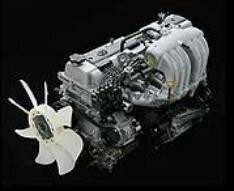 Its rated power is 90hp@3500rpm. The 3B also boasts the best oiling system of all the B series engines. Unlike other naturally aspirated diesels, it has oil squirters at the bottom of the cylinder skirts for improved piston cooling and better cylinder wall lubrication. The 2B is almost equally popular. Although it doesn’t feature oil squirters, it does produce slightly more power because of a more favourable bore:stroke ratio. The 13BT is basically a turbocharged, direct injection version of the 3B and produces 120hp@3400rpm. It can also be found as the 13B in local markets. 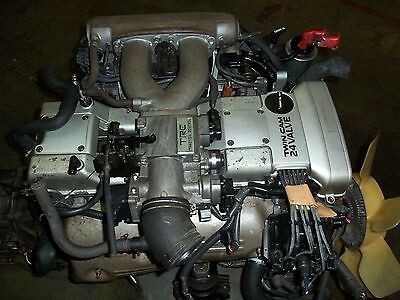 After much research, I have come to the conclusion that this is simply a 13B-T engine stripped of its turbo setup and outfitted with intake and exhaust manifolds off a regular B series engine. All commonly available B series engines can also be found with plunger or rotary fuel pumps. The plunger pump is slightly noisier, but it is also completely rebuildable. However, rotary pumps develop more power, besides being upgradeable with larger rotors. Other B series engines not so commonly available are the 11B, 14B, 14B-T, and 15B. With the 14B at 3.7 liters and 15B at 4.1 liters, these direct injection engines are probably the largest 4-cylinder engines in use today. While B series engines were, back in the day, the most popular choice for CJs by far, they also have their drawbacks. The weight of the huge cast iron block and cylinder head adversely affect the Jeep’s already marginal handling characteristics and require beefed up front suspension and chassis reinforcement. The 2.8 liter 3L is a good medium duty choice for a late model CJ. The 5L is slightly torquier at 3.0 liters. Both engines provide a good balance of power and fuel economy, both on road and off road, especially when used with a matching Toyota W series transmission and axles out of a donor Hilux. Only mentioned here as a warning. While more than adequate off road at slow speeds, the 2LT is extremely stressed by the CJs’ aerodynamics at highway speeds, especially when tall tires, suspension lifts and roof racks are added. The 1KZ-TE is Toyota’s turbocharged replacement for the 3L. 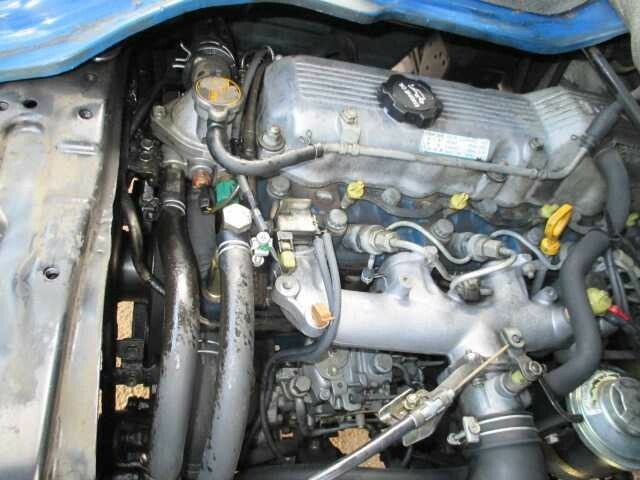 This 3.0 liter engine powered the Land Cruiser Prado and a few others during the early to mid 1990s. Equipped with EFI and emissions management equipment, the 1KZ delivers good power, about 130 HP, for its size but with terrible fuel economy. Its performance in a CJ is quite peppy but for a pretty heavy price. Fuel consumption is on the crazy side of ridiculous — expect no more than 6 km/L. The 1KZ is equipped with balance shafts which make it a smooth revving mill, and a small turbo that spools up very quickly meaning good low end torque. These characteristics make it a popular swap option for vehicles intended for frequent heavy duty use. 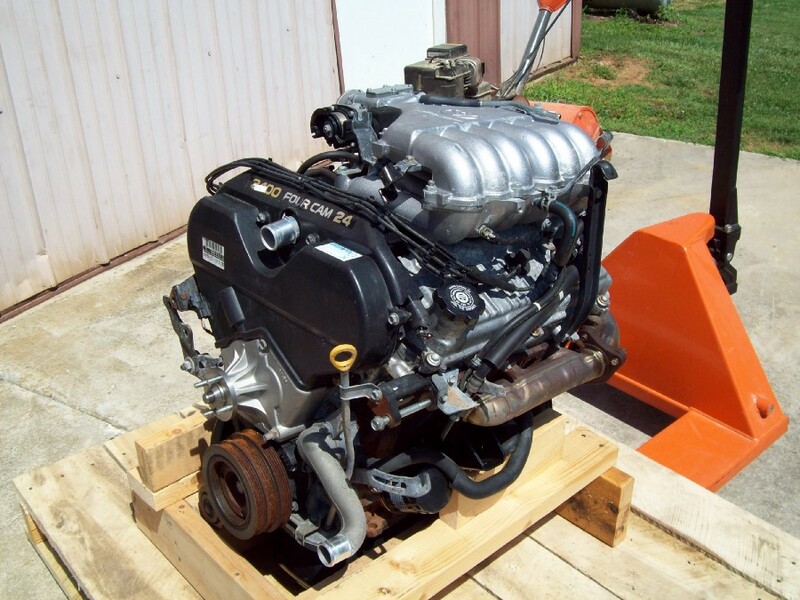 This smooth, high revving, 2.8 liter 6-cylinder engine found its way into quite a few CJ-7s back in the 1990s. The 6-cylinder configuration made it exceptionally smooth for a diesel. Its high revving nature meant plenty of horsepower at the top end of the RPM range, but small displacement took away low end torque. While on paper a good engine, its fatal flaw was a weak crankshaft. Broken crankshafts were not unheard of when these engines were commonly available. This is the main reason why the technically inferior but torquier B series engines were always preferred over the RD28. 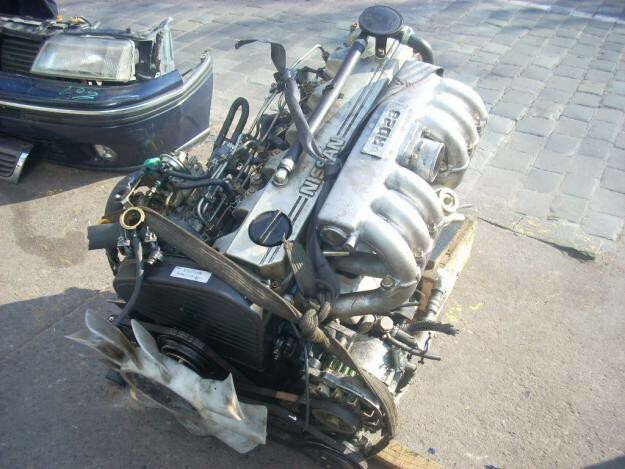 This engine is no longer available with engine importers. This is Toyota’s flagship diesel — 6 cylinders of turbocharged, 4.2 liter oil burner — and it powers the legendary full size Land Cruiser, later also popularly known as ‘Cruising’ and VX turbo in Pakistan. This engine has changed a fair bit over the years since its inception of the H series in the 1980s, going from conventional mechanical injection and 12 valves to EFI and 24 valves with computer-controlled automatic transmission. Depending on the year, it produces anywhere between 165 to 205 horsepower. 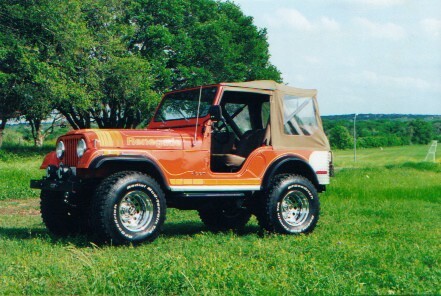 Although the H series of engines is better suited for a full size Jeep, like a Wagoneer or SJ Cherokee, there was a rumor back in the late 1990s that some had been swapped into CJ-7s. Whether these Jeeps even existed still remains an unsubstantiated myth. The engine is roughly the same length as the CJ-7’s original 4.2 liter petrol engine, but it is much wider and weighs much more too. As with anything even remotely associated with the 100 series Land Cruiser, the cost of this conversion is prohibitively expensive and it requires more custom fabrication than any other conversion. Early model 12 valve engines were also prone to rod knock due to inadequate oiling. Apparently, the engine’s oiling system doesn’t develop enough pressure at low engine speeds to prevent metal-to-metal contact on the big end bearings on the connecting rods. Elevated cylinder pressure under high turbo boost pushes the piston down much harder than the oil pressure on the bottom end can counteract. The resulting metal-to-metal contact occurs only under low RPM, high load conditions, such as trying to accelerate in too high a gear, but the metal particles swimming around in the oil attack other internal components also, leading to the engine’s early and untimely demise. Toyota had a issued a recall for engines with this problem, but there is no telling whether a used engine will need a rebuild unless it is disassembled and inspected. The cost of rebuilding a 1HZ was at least Rs. 60,000 in 2001. Inflation and changing import duties have probably tripled that figure. Almost all new diesels are common rail — which is significantly different from the older designs. A common rail engine uses a high pressure pump to maintain 26,000 to 30,000 pounds pressure in a fuel rail which feeds the piezoelectric injectors. That means at any engine speed, every injector gets the same maximum pressure. The higher the pressure, the smaller the injector nozzle openings can be, producing smaller pulses that provide better fuel atomization. Combine that with more frequent, strategically timed pulses during each compression-stroke injection, and the result is more complete combustion. CRD engines consume less fuel and make more power, while being quieter and polluting less. A win-win situation, except for one drawback — they require regular maintenance and low sulphur fuel, both of which are in short supply in Pakistan, especially in remote areas where infrastructure is lacking. Common rail fuel systems are assembled in ‘clean rooms’, which means they cannot be opened up in any local workshop. A 28,000 psi encounter with a bit of dirt is not going to be pretty! However, things have changed quite a bit in the 13 years since and Toyota is finally well equipped enough to service CRD engines in-house. As of April 2005, common rail engines weren’t available in the local market. However, the Toyota 1KDFTV and 2KDFTV, are now commonly available although still very pricey. The 3.0 liter and 2.5 liter engines power the Hilux, imported and local versions respectively. Both engines feature variable nozzle turbochargers which spool up almost right off idle for increased power. 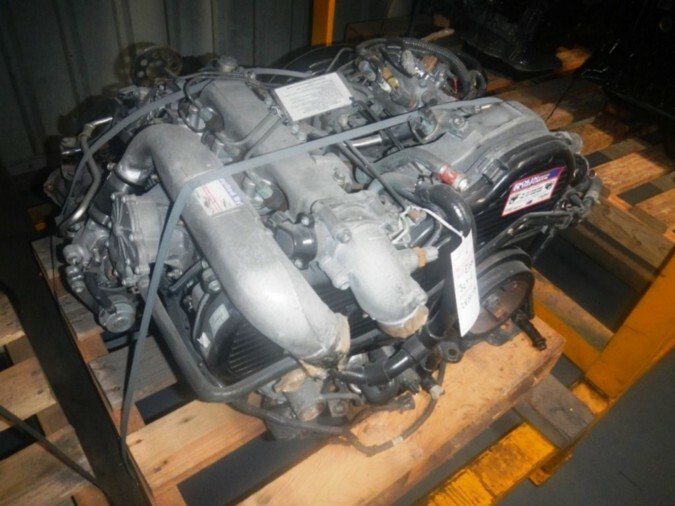 While easily available, these engines feature delicate fuel and engine management systems which make them unsuitable for any kind of durable swap in a Jeep. UPDATE: There are now also quite a few gasoline options also available for these Jeeps. Toyota’s J family of engines enjoys a reputation for being incredibly tough and long lived while delivering silky smooth power. Toyota offered these engines in a multitude of variations — with fixed or variable valve timing, naturally aspirated or turbocharged, direct injection or indirect injection — across a variety of platforms ranging from luxury sedans to sports coupes, including the legendary MKIV Supra. While never intended for any 4×4 application, these engines have locally found their way into not only Jeeps and SUVs but also minibuses and generator sets! Displacing 2.5 and 3.0 liters respectively, the 1JZ and 2JZ feature a cast iron 6 cylinder block in an inline format that is naturally balanced and equipped with 7 massive main crankshaft journals and a forged rotating assembly for incredible bottom end strength. The cylinder head is an aluminium twin overhead cam design with 4 valves per cylinder for excellent breathing characteristics. The proven simplicity of the inline 6 design allows these engines to last nearly forever and take an incredible beating at stock power levels. The naturally aspirated 1JZGE and 2JZGE develop 200 and 220 HP respectively, with the variable valve timing, or VVTi, versions delivering substantially more mid range punch or torque. The turbocharged 1JZGTE and 2JZGTE deliver much higher HP, 276 for both as conservatively rated by Toyota at the crankshaft, and 268lb/ft and 323lb/ft of torque respectively. If you’re looking to stick with an inline 6 design as your Jeep originally had, the 1JZGE is a great medium duty alternative that will also deliver very miserly fuel consumption, almost as good as a small 4 cylinder engine. However, it also produces less torque because of which the larger 2JZGE is a better choice. In properly executed swaps, the 2JZGE is often a better performer than the Jeep’s original 4.0 liter high output inline 6 it replaces. Locally, mechanics prefer to use the older models of both engines with distributor style ignitions for ease of installation and operation. However, the later style coil-on-plug ignition equipped engines feature VVTi and more usable power. Contrary to often heard excuses trotted out by lazy mechanics, the later model engines can be made to perform flawlessly. Just make sure a competent EFI electrician handles the installation. The 1JZGTE and 2JZGTE are not really recommended for most 4×4 applications. The low compression design means poor low end torque off boost, followed by massive top end power under boost. The engine’s portly weight not withstanding, either would make a good racing mill, especially for sandy or muddy terrain, in the hands of an experienced driver familiar with turbocharged power, but otherwise they’re downright dangerous for novice and inexperienced drivers. This is especially true of the shorter stroke 1JZGTE which has turbos running in parallel and as a result has a very high revving and high strung nature. The 2JZGTE produces even more torque but in a far more usable manner. However, it is nearly impossible to find locally now. I was lucky enough to get my hands on one a few years ago for my CJ-7. In a nutshell, it is too much work to install considering packaging and plumbing concerns, and too much motor for what is essentially a low speed vehicle. A 1UZ would have been a far more practical choice. 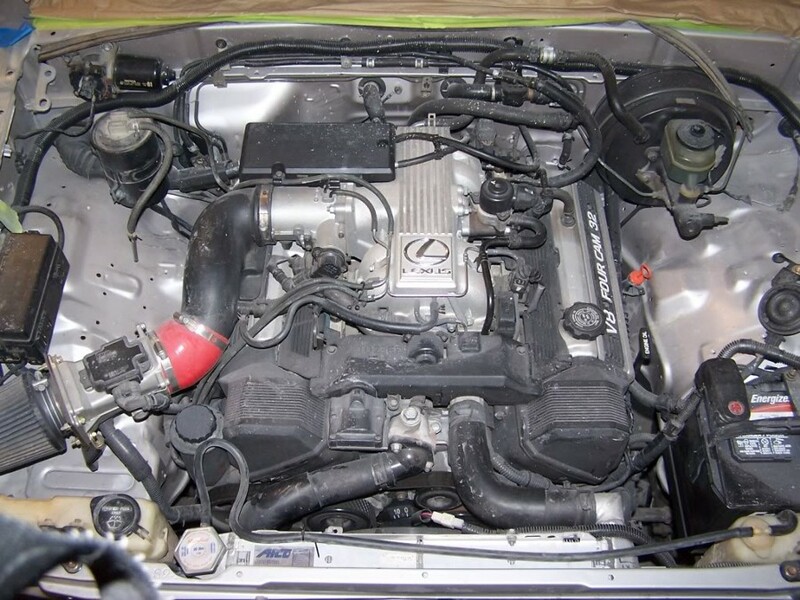 The 1UZ is a 4.0 liter, 32 valve, quad cam all aluminium V8, that was developed specifically for the 1989 LS400, the flagship of Toyota’s Lexus brand for the North American market. Engineers would later confirm that the engine was based on racing engines used in CART and IRL series, and as such was over-engineered for exceptional strength and smooth operation. So much so that it was in Ward’s list of 10 best engines for some years. Featuring steel connecting rods and a forged crankshaft mounted on 6 bolt main bearings, the 1UZ boasts an exceptionally strong rotating assembly. Even the oil pan is designed to act as a girdle for the crankcase, increasing block rigidity. It is an extremely well balanced engine with legendary Lexus smoothness, producing 260 HP and 260 lb/ft of torque. 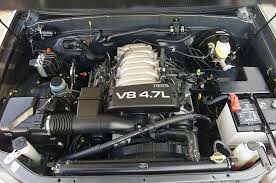 An update in 1997 blessed the 1UZ with VVTi, which bumped power output up to 300 HP and 310 lb/ft of torque. 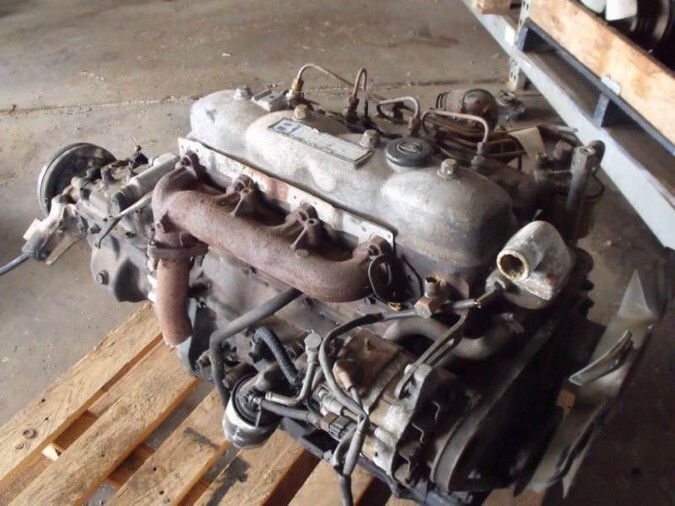 What makes the 1UZ a good swap option? It’s lightweight, very robust and nearly indestructible, and with good power delivery all the way from idle to redline. 4.0 liter displacement means good torque right off idle. They’re quite plentiful, very reasonably priced, and most of all, they sound fantastic. However, a 1UZ takes a fair amount of custom work to install. A rear sump oil pan must be used to clear the front differential housing. If a manual transmission is used, you’ll need a custom flywheel and adapter plate for the transmission, as no manual transmission was ever available for it from the factory. You will also need a heavy duty clutch to live behind V8 torque, and most probably a bigger radiator to deal with the added output of the V8. Fuel consumption is also on the thirsty side unless you use tall tires and 3.55:1 ratio axles from a Wrangler. For the sake of comparison, our 1UZ equipped Jamboree edition CJ-7 with 2.73:1 axles and 31″ tires returns about 7km/L around town and around 11km/L on cross country trips. The 2.73 ratio differential is not available locally, but the Wrangler axles are quite common. Finally, you also need to consider that VVTi equipped engines have an electronically operated throttle and immobilizer equipped ECU. While, there are ways to get around the latter, the former can be a concern in tough off road conditions. 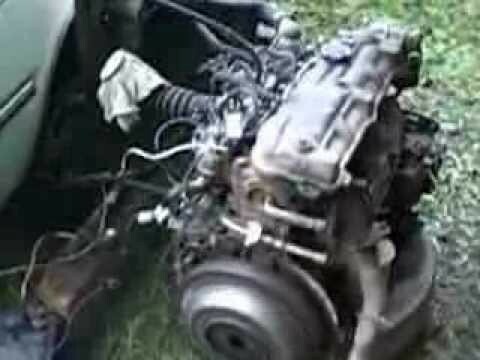 The 1UZ spawned the 4.7 liter iron block 2UZ. Created for the LX470/100 series Land Cruiser, the iron block adds durability (and cuts production cost) and the increased displacement bumps up torque for 4×4 applications. Torque for these engines is generally 310 lb/ft of torque with peak power of 237 HP for locally available JDM models. Like the 1UZ, available originally with automatic transmission only. While the 2UZ is better suited for 4×4 applications, the 40 extra lb/ft of torque costs more than 2x as much as a 1UZ, mainly because the 2UZ is a replacement engine for the 100 series Land Cruiser. For a lightweight CJ, YJ or TJ, the difference in performance is not worth the premium. The 5VZ is an excellent choice for CJ, YJ and TJ Jeeps due to its tight packaging and reasonable fuel consumption. Its power delivery characteristics are very similar to the 4.0L HO inline 6 originally available in YJ and TJ Wranglers. However, it is pricier than the 2JZGE which is often used instead. Toyota’s now legendary inline 6 Land Cruiser engine honorable mention here, but it is by no means a viable candidate for a Jeep engine swap. This 4.5 liter, 24 valve mill powered 80 series and later full size Land Cruisers, and as with anything associated with those vehicles, it’s big, heavy, thirsty, and worst of all, ridiculously expensive. 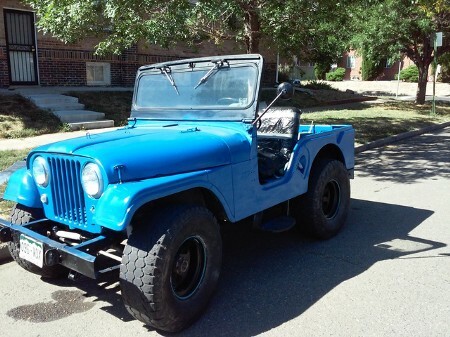 Expect to shell out as much money for the motor alone as you would for a running CJ7. The 1FZ was initially available carb’ed but later switched over to EFI. Although not a high horsepower mill, it does develop very stout low end torque. The low compression design is also forgiving of poor quality fuel and receptive to forced induction. 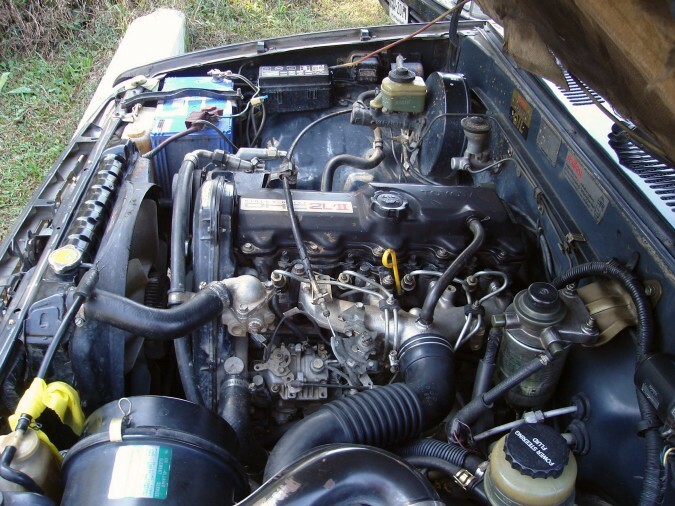 Landcruiser FAQ :: Has detailed information about the entire line of Toyota landcruiser engines. Please post engine/tech related questions at the forums. Wealth of info for prospective Jeep re-builders Imad, you need to find out the weights of all the engines you have mentioned in your article and also give a list of the engine weight and the transmission weight of the original stock petrol engines along with the R&P ratios compared with the proposed ratios for the diesels that one intends to install along with the gear box. The gear boxes also have different output ratios for different tyre sizes. Diesels are much heavier engines and without installation of a restraining bar holding the chasis together result in eventual chasis cracking or bending outwards lengthwise, resulting in severe damage and occassional broken body mounts. Thank you for the kind words. I am planning to deal with transmission and axle choices, and diesel conversion issues in other articles soon. Very impressive.. Nice to read through with lots of information.. Pictures would be an added benifit.. .. Also.. a 1HZ costs much more then 60000 these days.. A B2 costs more then 60 K nowadays..
… a 1HZ costs much more then 60000 these days.. A B2 costs more then 60 K nowadays..
Any starters guide lines. Your tips for engines are very good. I hav a petrol Suzuki SJ410 but its consumption is quite much, i want to convert it into Diesel. I would prefer a diesel Turbo engine. Plz recommend a suitable engine. There are no diesel engines in the local market that will install in an SJ410 without completely upsetting its weight distribution and ruining handling and ride quality. The smallest Toyota diesel is the 1C and it stills weighs MUCH more than the SJ’s 1000cc petrol engine. The SJ doesn’t weigh enough to withstand the harsh vibrations of a diesel. The extra weight in the front also worsens the already marginal ride quality of the SJ. You may have noticed that the back end of the SJ is EXTREMELY light. A diesel engine will make that even worse by adding extra weight in the front. The front leaf springs will also need extra leafs to handle the increased weight. As far as the efficiency of the diesel over the petrol engine is concerned, a 1C will use as much fuel as the 1000cc petrol, probably even more. The govt is also planning on equalizing the cost of petrol and diesel within the next couple of years so you won’t save any money by converting to diesel. Then there is also the cost of the engine and paying a mechanic to install it. 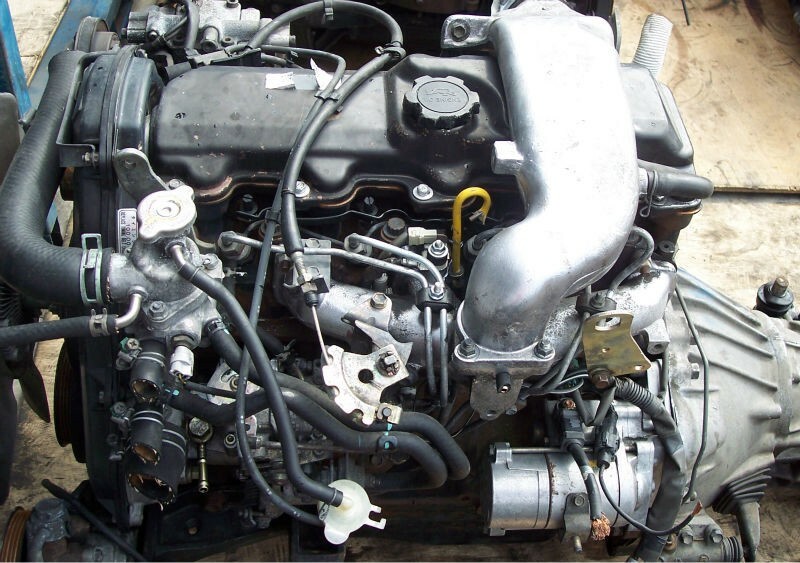 Diesels also cost much more to overhaul than petrol engines and you will need to overhaul it at some point. Converting an SJ410 to diesel makes no sense from any point of view, whether engineering or financial. It would be a waste of money and time and you would end up with a vehicle with terrible ride quality and lousy acceleration. Hi there, its really a great site ur maintaining. 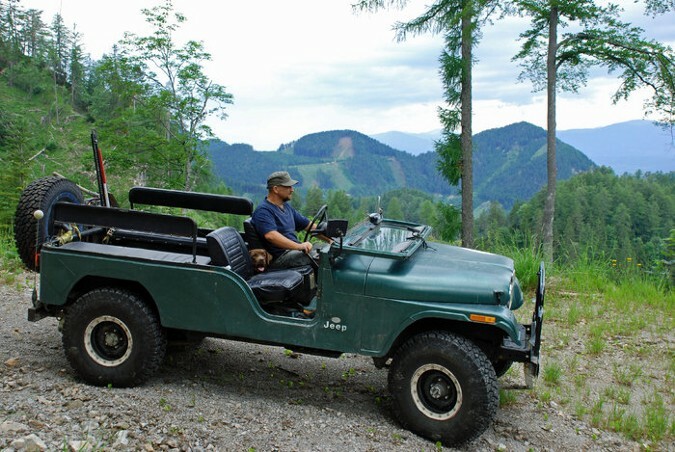 I wanted to know that can the nissan 2.2 engine can work in cj-5 not for extreme offroading like u people do but basically for the farm house type, as I am about to buy a 1960 Cj-5 having nissan 2.2 . Taimoor, whether a Nissan 2.2 Liter engine in a CJ-5 is suitable for you depends on a number of factors. 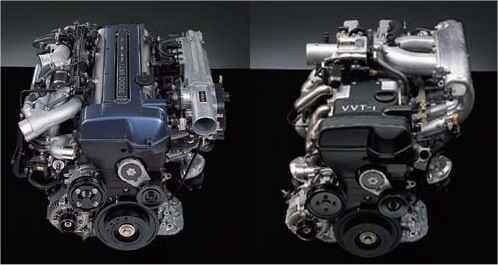 Toyota’s comparable L, and now the 2L, are superior engines both from a power and reliability point of view. 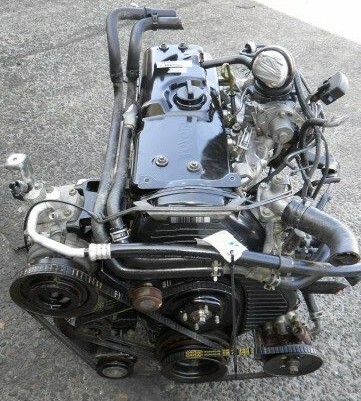 The Nissan 2.2 liter engine is more trouble prone, and parts are expensive and difficult to find. On the other hand you can find Toyota parts anywhere in the most remote corners of the country. However, the if the Jeep in question is in good enough shape to offset the disadvantage of having a Nissan 2.2 liter engine, and the engine is also in good shape, then go for it. It should be more than enough for light duty. To the webmaster – let’s move all question and answer sessions to the forums from here on. The comments sections are getting mighty cluttered while the forums remain bone dry. 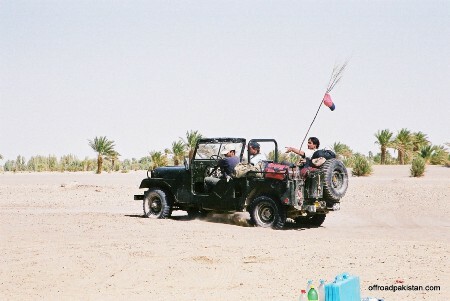 THIS is what the forums are really for – to foster the open discussion of Jeep tech and travel. Are there many mid 80’s diesel toyota landcruisers there? What do they cost used in US dollars? Jason, i’ve been out of touch for a long time but still remember the rates somewhat. I nicely tuned jeep might cost u between $3000 to $7000. It all depends on the condition of the engine, suspension and the overall look whereas the mileage is not that important there! Anyone wants to correct me on somepoint, please do. 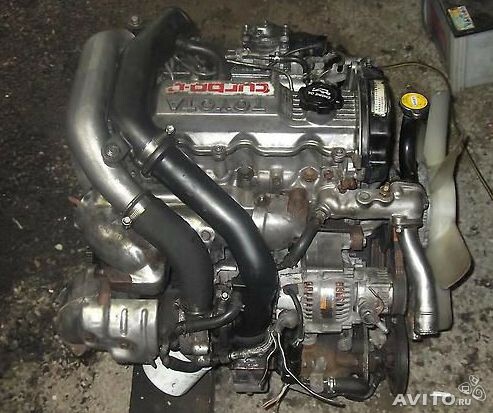 hello,im from the philippines I have an assemnled wrangler its engine is a Toyota 2L disiel engine, I want to know about its durability, can u give me some info and can you give me some info if it is supirior over other engines in its class? 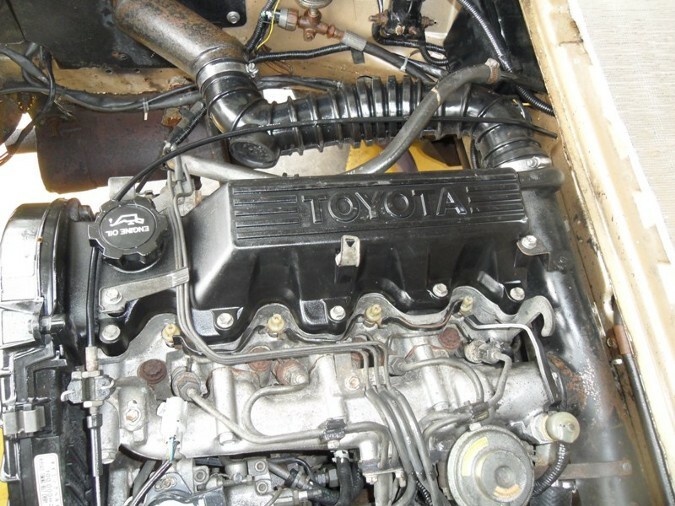 I need info—trying to install 2LT in 87 toyota 4X4 pickup has 22RTE now. I have a 2LT engine lined up but need flywheel and bellhousing-transmission to make it work. Do you know where I can get needed items or have toyota part numbers? Thanks for any help you can give. I am from Philippines, I got this Land Cruiser with only 2L Engine 2.4liter. I got the this Land Cruiser from an auction here, it came from Japan, manufactured in 1992. I believe the EFI need computer software and to diagnose and calibrate the said fuel injection pump.. which we do not have it here.. I tried to resorting to changing the pump with the conventional type (NOT EFI) , which we could not figure out how to make the engine build power.. finally I gave up. (Does it have same engine mounting system?? also use the same transmission is ok? does 3L engine also equiped with EFI?? which I have phobia meddling with. 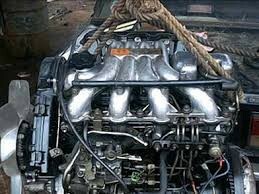 I want to ask if my land cruiser can be fitted with 3B Engine?? I think Toyota 3B are not EFI. or 1KZ, which I think is with EFI.. what do you think? which is better? i have an original ford gpw jeep in india, iand i have used toyota 1c engine. i just want to know is that good for jeep? and what will be the fuel consumption in the city? Yes, many people here have put in a 1C or 2C in the orignal Ford/Willys jeeps. These engines are very reliable, and fuel consumption is decent. Imad gr8 Show man. I really like the way U have explained all the engines. 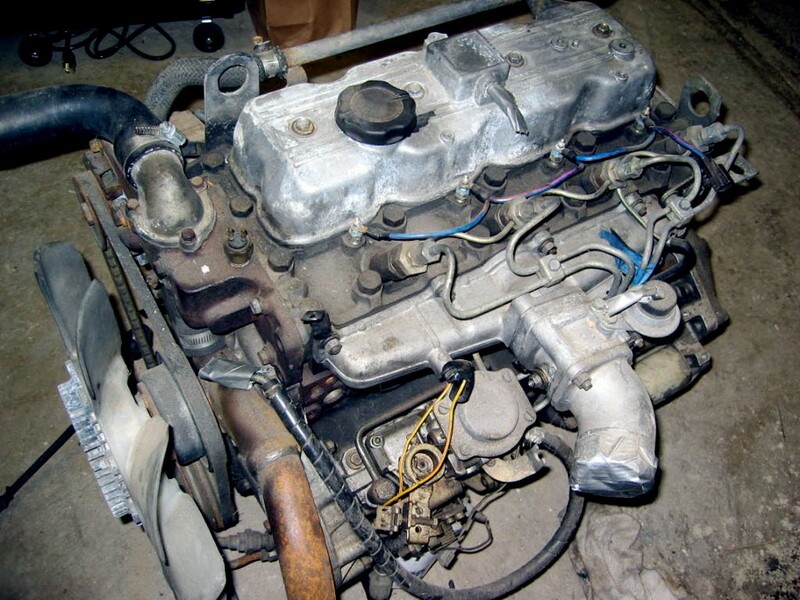 I plan to rebuild a landcrusier FJ 40 or BJ 40 With a 2-H six cylinder Deisel. Tell me will it work? or would it be too heavy, and if I am not wrong the 3C the predisesser of 1C & 2C is also in the market. It also comes with a tubcharger and dispalcment of 2.2 litre. the block is the same as 1 & 2C. 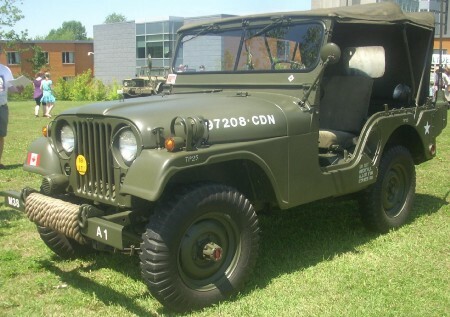 For willys M38 flat fenders and MK IV it a gr8 engine. Any how I really enjoyed the website & I hope that I make my mind up and come to Karachi (fr Lahore) to get my dream com true. Im driving a Toyota BJ70 with the 3B-engine and its a fantastic engine! Youre article about the diesel-engines shows me how many engines are build by Toyota(or Hino/Daihatsu). I never noticed that there are so many. I personally lover the B series. I run a 2B overbored in my CJ-7 and while I don’t save much on diesel the acceleration and raw power are worth it. Thanks for a wonderful and very informative piece. i plan to convert my M – 38 to diesel ( now i have the buick 225 engine – boozzer). 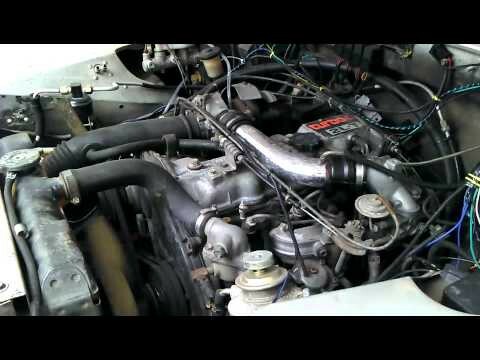 the toyota 2l-te conversion sounds really great but has anyone of you a detailled plan on what parts will be needed and what to pay attention to? can i keep the original gearbox? I have a 2L-T engine and I was just want to know if I can put air filter in the turbo air intake system that is designed for gasoline cars? For example: filters that was placed in honda cars, the mushroom type filter insted of the conventional filter. You can use any type of air filter as long as it filters properly and doesn’t choke the engine. Turbos don’t like any dirt at all. I would like some information from you about this engine that you are currently using. What horse power and torque does this engine produce and at what rpm? Now for some knowledge from us. In Pakistan, as you might have noticed, Toyota disel engines are very popular substitutes. 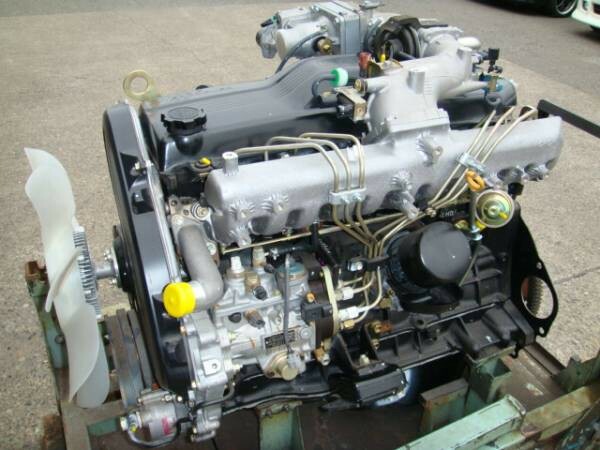 Reason being that Toyota engines are very reliable and their parts are widely available. As for efficiency, not matter what toyota diesel engine we have put in our jeeps we get 8 km per litre in city driving and about 12-14 km per litre in highway driving. The design of Jeeps like ours is a major player in determining fuel efficiency, not to mention the driveline ratios, tyre size and driving habits. Only efi diesels are known to give 15-18 kms/litre while delivering reasonable power. Yaseen, my efi diesel engine only gives about 8-10 km per litre in both the city and the highway. Super efficient TDi hatchbacks and small sedans are the only cars I know of that will deliver 15-18 km/L, that too with a puny (but surprisingly powerful) 1.8-2.0L turbo EFI diesel. Expecting a jeep to get that kind of mileage borders on the unreasonable. The aerodynamics are next to not being there and gear ratios are low and ill suited for good mileage (very high ratios can hurt mileage just as much too). 8-10 km/L is all you should expect, whether in the city or on the highway. Anymore and consider it bonus mileage. Our CJ-7 managed to squeeze out 14 km/L on a highway journey with a tailwind after getting new injectors. The tailwind added a good 2km/L (maybe more) to the mileage as it takes a lot of power to push that wall of a windscreen through the air at 100kmh. Cruising at excessively high speeds and hard acceleration kills mileage too. About 85-100kmh is good for a jeep with 4.11 axle gears in 5th gear, PROVIDED your suspension and steering allow that kind of speed. The criteria for a new engine should be adequate power, smoothness, and noise. Fuel mileage doesn’t really figure into the jeeper’s grand scheme of things. is a 2L-T a with EFI a resonable reliable engine?who is the fuel consupmtion on this type of engine?is it resonablly powerful? 2LT-EFI: The fuel consumption varies from 7-10 km/litre. Since I have low gearing in my jeep, on the highway the consumption actually gets worse. It’s reliable – hasn’t even sputtered once. The efi system has a much longer service life than the manual system it replaces.